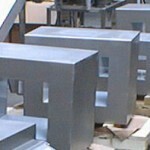 Metal Detection Systems and Solutions for Industry | PAK Automation Ltd.
Pak Automation Ltd have been providing Metal Detection solutions to Industry for many years across a broad range of industries from Pipeline Detectors In The Pharma Industry to Large units for the Aggregates Industry and not forgetting the demanding applications of the Food Industry. 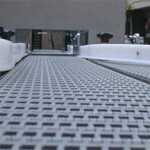 We design and build the handling systems around the detector based on the application. Modern Metal detectors are very stable and the highly reliable electronics feature DSP (Digital Signal Processing) which makes them dependable. 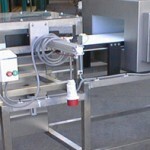 Metal detectors are used in many industries for the detection of metal objects. The utilization of metal detectors to search out and find metal objects is a well developed art that has become increasingly important in recent years. 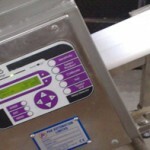 Metal detectors have been used to screen foodstuffs for the presence of foreign ferromagnetic or electrically conductive objects. 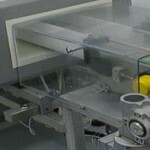 Metal detectors in the food industry typically radiate an electromagnetic signal having a single operating frequency in the range of fifty kilohertz to two megahertz. Metal detectors are also used in other industries such as plastics, timber, and quarrying for the protection of machinery. Metal detectors work by generating a low intensity magnetic field from a current flowing through a coil of wire and examining the various types of distortions produced in this field by a surrounding matrix of materials. The sensing coil and sensing circuit are used to detect presence of a metal object in the zone by comparing perturbations in the magnetic field caused by the presence of the metal object to a threshold value. Some metal detectors identify target type by analyzing the phase relationship between a signal transmitted into the ground and a received signal. 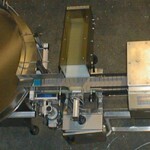 It is important to remember that in Food Industry applications there is quite often a large impact from the “Product Effect” in particular where the product is wet or has a high salt content, the product effect can be reduced by selecting the frequency the detector will operate at and then looking for other effects (contamination). Certified test pieces are used to check metal detector operation and carry out QC (Quality Control) checks on a daily basis.